Seun Erinle definitely has her hands full. She’s 1/2 of the Chattanooga-based design company Grid Principles, she teaches students ages 12-18 about website development through her program A.I.R. 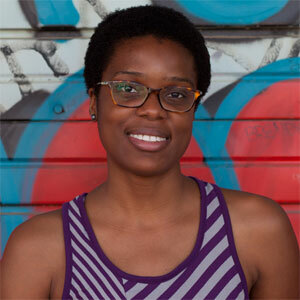 Labs, and she’s the creator of BlerdNation, a growing social network for the Black nerd community. We talked about how she manages to juggle it all, what she’s learned since becoming an entrepreneur, and the bustling tech scene across Africa (particularly Nigeria). Seun’s upbeat attitude and persistent nature has definitely set her up for success. Learn more about her in this week’s interview!